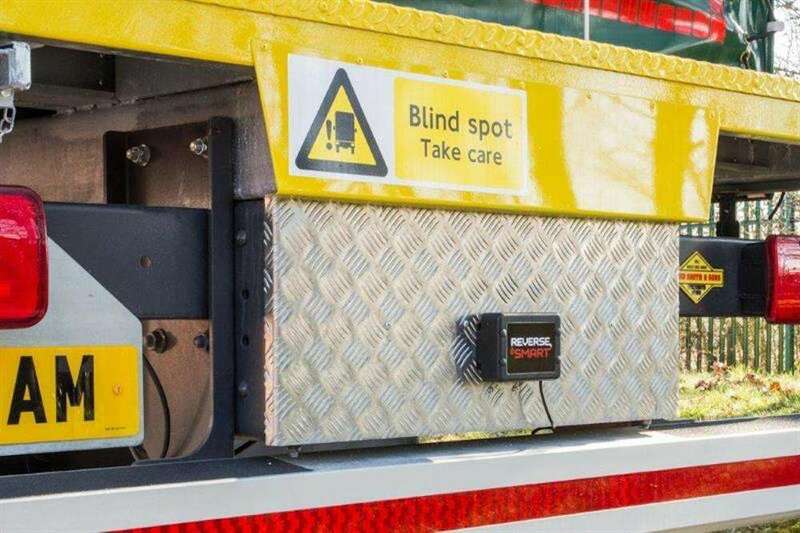 Haulage and distribution business K Transport Services (Midlands) is reporting positive driver feedback since installing the Reverse Smart safety device, from Doctor Air Brake, to several of its DAF CF rigids. The Wolverhampton-based operator has an 80-strong truck fleet operating from its two sites in the West Midlands, as well as from various customer locations in the region. Fourteen of the operator’s DAF CF 26-tonne Sliderflex rigids distributing for a customer in Bilston on multi-drop operations, and all are equipped with the safety device. “Access is always an issue at the multi-drop locations as they are often small builders’ yards with high volumes of traffic,” says David Preston, fleet maintenance manager for K Transport Services. The Reverse Smart radar fits on the back of the vehicle (pictured), sending out radio wave pulses. Any object detected is assigned a code and tracked in milliseconds as the distance and angle between it and the vehicle gets closer. This is shown by different coloured zones on a dash-mounted display for the driver, along with an audible tone which gets faster as the distance shortens. 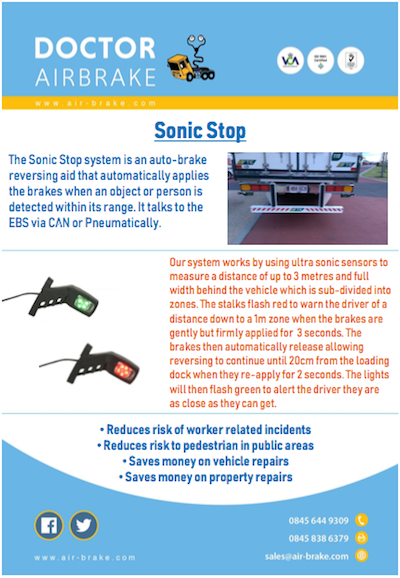 Once the object or person is in the programmed ‘danger zone’, the engine power drops and the brakes are applied for three seconds. 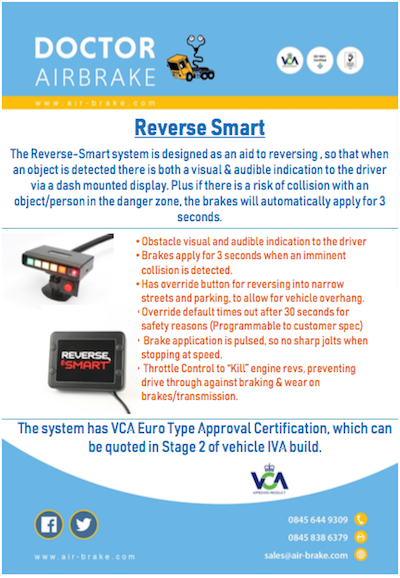 Once the danger has passed or the driver has confirmed all is clear, the brakes will release and allow reversing to continue. The device is proving its worth, adds Preston, even on vehicles equipped with multi-camera CCTV systems. Doctor Air Brake says more than 350 of the devices have now been fitted to commercial vehicles.